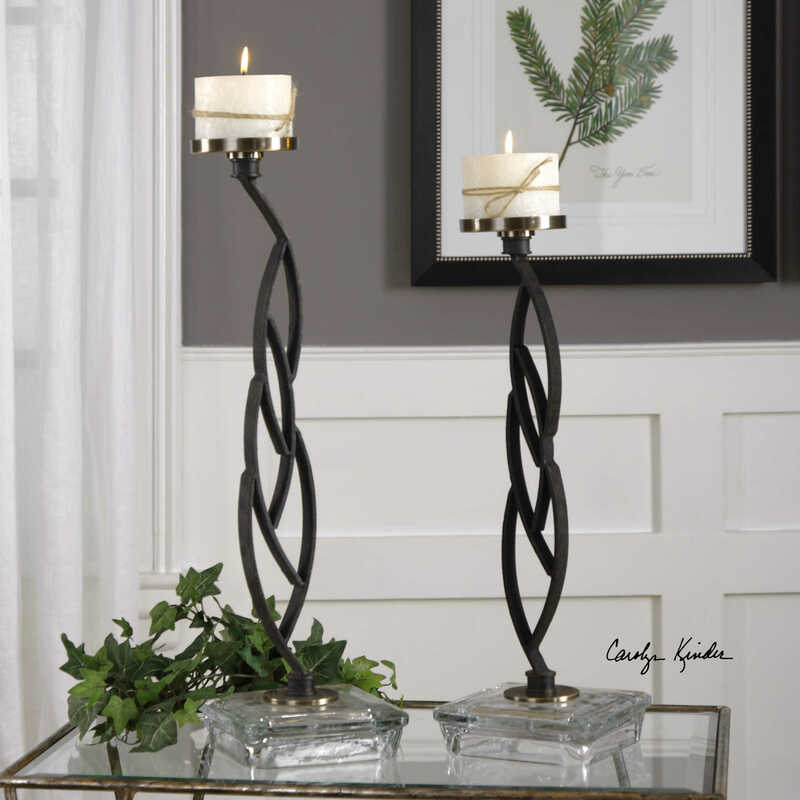 Designed by Carolyn Kinder International, the Mahin Candle Holders are thick, aged black iron with coffee bronze metal accents, thick glass bases and two, 4″x 3″ distressed beige candles. Available to trade professionals at Uttermost.com. For retail purchase Google search term “Carolyn Kinder Mahin Candle Holders”.